It's been ten years since I made my own/wrote the original tutorial so I hope I am remembering correctly, but yes, for all the edges you turn them under toward the inside and stitch them before attaching the outer ribbed layer directly to the back layer. When I "reactivated" last year I did have to add another layer of fabric on the inside of both the front and back of the vest because the fabric I used at the time (sport nylon from Joann's) did look a bit too translucent as you can even see in my pics in the tutorial so if you are using a thin fabric you may want to use two layers of it for the "backing" sections of the vest. For my own vest I used clear aquarium tubing and I know other who have used coaxial type cable as another option, The aquarium tubing works pretty well at holding the shape of the vest. I may need to make a new vest soon and if I do I'll likely try and video/photo document everything so it will be easier for those wanting to their own to understand. Thanks for your help, Angela, I just figured it out and made me a nice looking front vest. I definitely need to get non-rolled tubing because it is making things all warped, but that will be easy. Thanks again! I've been busy working on my flak vest. I had to make three attempts to figure out how to make it correctly. My vest is the size recommended from the online tutorial and the instruction packet sent to me by Mac Bragg. The top sits just under my collar bone and the bottom comes down to right above my elbow joint. I also made my leg flare holder today, but I need the flares to arrive from ElvisTrooper before I can finish the loops. I also have a chestbox on order from Droidwelder. The flak vest looks to be a very good fit. 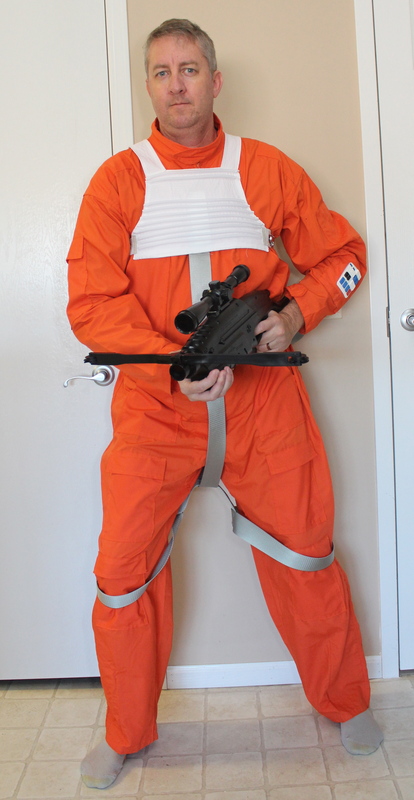 Update on my X-wing costume: I have purchased the arm tools, sanded down the compad so it is smooth, painted the leather on my flak vest white, bought the gloves and boots, and made the leg flare holder and flares. I have put an order for a chestbox in to DroidWelder, but he is a little backed up on orders so it will be a little while. In January I will get a helmet kit from DarthHair and once all that is done I will submit for approval. My chestbox from DroidWelder arrived and looks fabulous. Everything except the helmet is done. I don't need a helmet for approval, but I want to wait until I have a helmet to submit. Special thanks to Mac Bragg for sending a detailed tutorial for the flak vest, it helped a lot. Looks like it's come together well! I know what you mean with the helmet. I'm at the same stage but it's not quite an X-wing pilot without a helmet to me either. 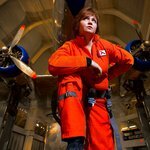 I have completed the X-wing costume and am ready to submit. Wish me luck! Looks good! You shouldn't have any trouble getting approved. 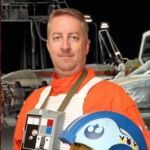 Alrighty X-wing people, the comments came back for my submission and the judges want the front of the flak vest a little larger. I made the vest according to the tutorial specs, but I am a tall person so it looks a little short. How exactly does one make the vest longer if there is a set number of ribs with a set width and set spacing distance between ribs? Can I just add a few more ribs? The costume specifications say MINIMUM 8-9 ribs after "the gap" so could I have 10-12 ribs? I could do that, but the standards and tutorial say 1/4 inch (6mm) ribs so that is what I originally did. I just got my formal costume approval. 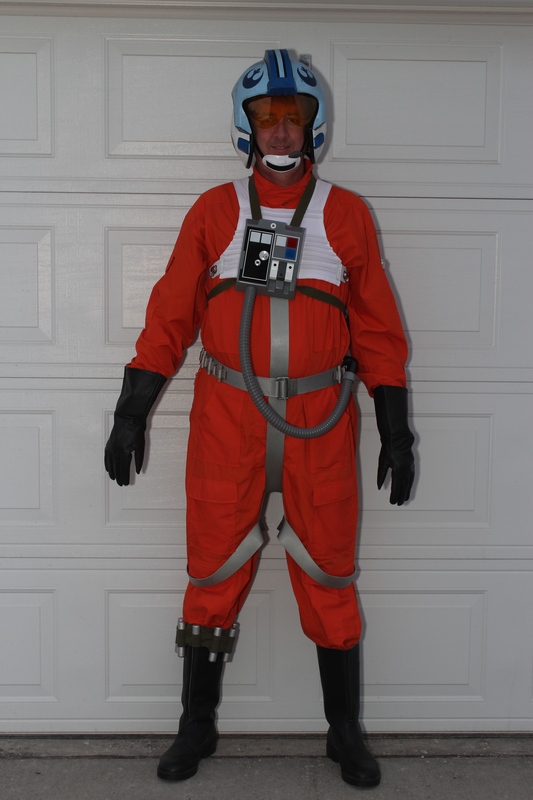 This is my first costume so I am now an official member of the Rebel Legion! 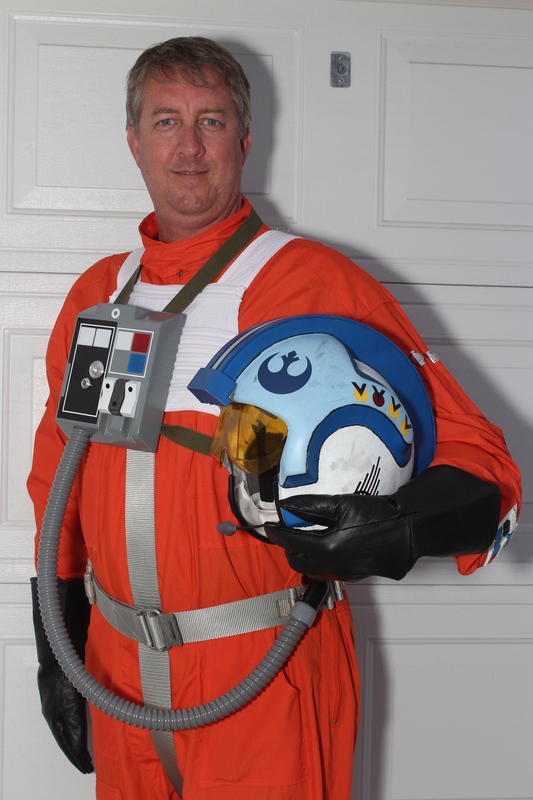 Thanks to the people who helped me a lot on my X-wing costume and sent me the specific instructions on the flak vest. I am looking forward to going out on a troop. Now I have to finish up my Chewbacca (hopefully within a month or so).